So when Andrew Joel, Hart’s longtime urologist at Virginia Hospital Center in Arlington, mentioned the hospital’s membership in the Mayo Clinic Care Network and suggested consulting specialists at the Rochester, Minn., hospital for a second opinion, Hart enthusiastically agreed. A Mayo immunologist told Joel about a new PET scan, not then available in the Washington area, that can detect tiny cancer hot spots. Hart flew to Mayo for the scan, which found cancer cells in one lymph node in his pelvis. He underwent chemotherapy at Virginia Hospital Center and five weeks of radiation at the Mayo Clinic. Since September 2016, there has been no detectable cancer. Hart’s experience showcases the promise of a much-touted but little understood collaboration in health care: alliances between community hospitals and some of the nation’s biggest and most respected institutions. For prospective patients, it can be hard to assess what these relationships actually mean — and whether they matter. Leah Binder, president and chief executive of the Leapfrog Group, a Washington-based patient safety organization that grades hospitals based on data involving medical errors and best practices, cautions that affiliation with a famous name is not a guarantee of quality. A key question is “how often does the community hospital interact with the flagship hospital? If it’s once a week, that’s one thing. If it’s almost never, that’s another,” Anderson said. To expand their reach, flagship hospitals including Mayo, the Cleveland Clinic and Houston’s MD Anderson Cancer Center have signed affiliation agreements with smaller hospitals around the country. These agreements, which can involve different levels of clinical integration, typically grant community hospitals access to experts and specialized services at the larger hospitals while allowing them to remain independently owned and operated. For community hospitals, a primary goal of the brand name affiliation is stemming the loss of patients to local competitors. In return, large hospitals receive new sources of patients for clinical trials and for the highly specialized services that distinguish these “destination medicine” sites. Affiliations also boost their name recognition — all without having to establish a physical presence. In some cases, large hospital systems have opted for a different approach, largely involving acquisition. Johns Hopkins acquired Sibley Memorial and Suburban hospitals in the Washington area, along with All Children’s Hospital in St. Petersburg, Fla. The latter was re-christened Johns Hopkins All Children’s Hospital in 2016. New York’s Memorial Sloan Kettering Cancer Center has embraced a hybrid strategy. It operates a ring of facilities surrounding Manhattan and has forged alliances with three partners in Connecticut, Pennsylvania and Florida. “Every one of these models is different,” said Ben Umansky, managing director for research at the Advisory Board, a Washington-based consulting firm. Doctors can obtain speedy second opinions for their patients and streamline visits for those with complex or unusual medical needs, processes that can be daunting and difficult without connections. Virginia Hospital Center’s association with Mayo is “not just a branding affiliation, it’s a deep clinical affiliation,” said Jeffrey DiLisi, senior vice president and chief medical officer at the Arlington facility. Despite extensive marketing, many patients seem unaware of the linkage. “We still think a lot about ‘How do we communicate this?’ ” DiLisi said. Although affiliation agreements differ, many involve payment of an annual fee by smaller hospitals. Officials at Mayo and MD Anderson declined to reveal the amount, as did executives at several affiliates. Contracts with Mayo must be renewed annually, while some with MD Anderson exceed five years. Acceptance is preceded by site visits and vetting of the community hospitals’ staff and operations. Strict guidelines control use of the flagship name. Of the 250 U.S. hospitals or health systems that have expressed serious interest in joining Mayo’s network, 34 have become members. For patients considering a hospital that has such an affiliation, Binder advises checking ratings from a variety of sources, among them Leapfrog, Medicare, and Consumer Reports, and not just relying on reputation. Case in point: Hopkins’s All Children’s has been besieged by recent reports of catastrophic surgical injuries and errors and a spike in deaths among pediatric heart patients since Hopkins took over. Hopkins’s chief executive has apologized, more than a half-dozen top executives have resigned and Hopkins recently hired a former federal prosecutor to conduct a review of what went wrong. Medicare Advantage plans continue to be an attractive option for the rapidly increasing senior population. As of November 2018, total Medicare Advantage (MA) membership stood at over 21.6 million, representing approximately 34% of the 63.7 million Americans eligible for Medicare. Health plan enrollment and market share data are important metrics for health insurers to assess in order to identify opportunities and make better business decisions about products and services. 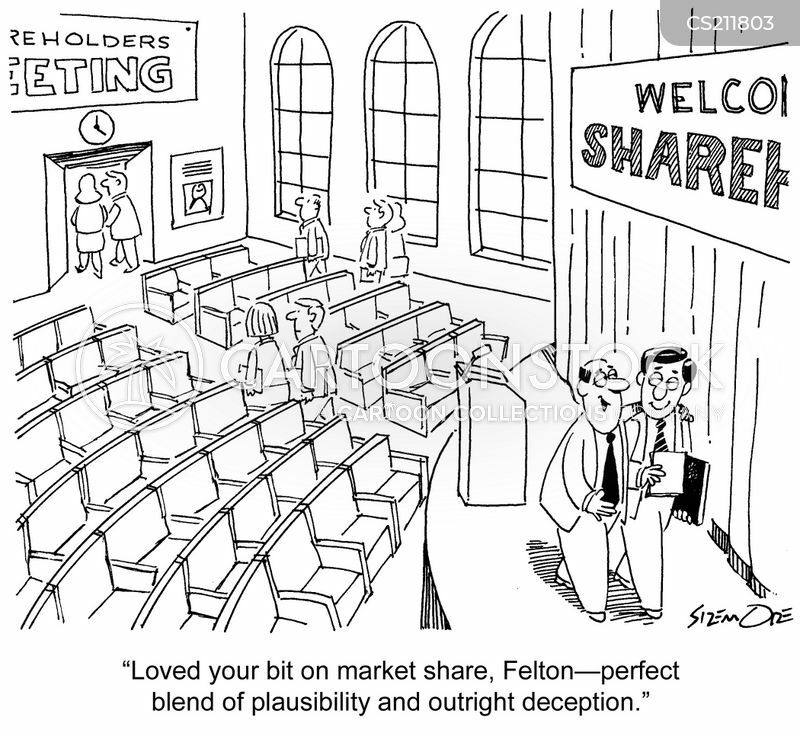 Companies not only look at their own market positions but also routinely analyze competitor membership to evaluate relative market share. 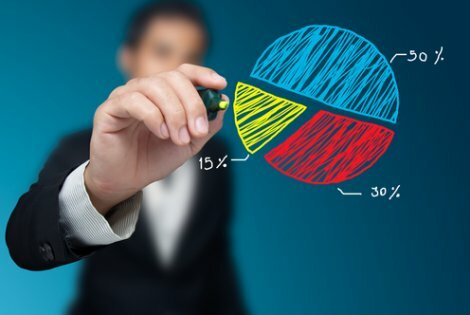 Industry analysts often assess market share at the county or metropolitan statistical area (MSA) level in order to gain a more complete competitive picture of the market. This brief presents an overview of Medicare market demographics and market share data, with a focus on health plan market position for six major metropolitan statistical areas (MSAs) in the U.S.
For the purposes of this brief, MFA first looked at the competitive mix in the Medicare and Medicare Advantage markets through analysis of enrollment figures from the Health Coverage Portal™ and Medicare Business Online™ by metropolitan areas in the United States. Seniors have a choice between coverage offered by original Medicare and Medicare Advantage (MA). While potential market size is an important metric, understanding the insurance preferences of seniors requires a closer look at enrollment within each area. How seniors are behaving as consumers varies greatly among the metropolitan areas. To shed more light on these differences, Mark Farrah Associates calculated the penetration rate for original Medicare & Medicare Advantage plans. Penetration rate is calculated by dividing the number of plan members by the number of those eligible for Medicare. The penetration rate provides the overall market share which can be used to analyze seniors’ choice between sticking with original Medicare and choosing a Medicare Advantage plan. There is a greater degree of variability across the top 6 MSAs when considering original Medicare vs. Medicare Advantage penetration rates, per the chart above. The Chicago MSA has the highest original Medicare rate at just over 70.9% with the lowest Medicare Advantage penetration rate (24.1%). Similarly, Philadelphia is well below the national average with a Medicare Advantage penetration rate of 28.1%. One reason for the lower Medicare Advantage penetration in both Chicago and Philadelphia is the popularity of Medicare Supplement plans in both Illinois and Pennsylvania. On the other hand, Miami is currently sitting with only 41.5% of those eligible enrolled in original Medicare with the highest penetration rate of the 6 MSAs in the Medicare Advantage market at 53.5%. Los Angeles also records above average Medicare Advantage popularity with almost a 48% penetration rate. Based on MFA’s county estimates, the above table provides the top Medicare Advantage companies and their corresponding market share in each of the top MSAs. UnitedHealth Group appears to have a strong foothold in 5 of the MSAs above, except for the Philadelphia MSA. Humana also has a large presence across the selected MSAs. Eligibility, geographic location, income levels and overall health status of a population are just a few determinants of Medicare penetration in a particular area. While further demographic insight would be required to discern why Medicare and Medicare Advantage penetration is higher in some areas more than others, it is clear that the competitive mix among these MSAs indicates varying degrees of consumer choice. Nonetheless, the Medicare market continues to grow as more and more Americans of the Baby Boom generation enter retirement age. As always, Mark Farrah Associates will monitor enrollment trends and industry shifts in this highly competitive segment. In a race to build-out hospital services in the northern part of Suffolk, Bon Secours has received an edge over Sentara. State health staff, who reviewed expansion requests from both health care systems this summer, recently provided a recommendation of conditional approval for Bon Secours. Its proposal seeks to add 18 in-patient beds and four operating rooms to a facility at the Harbour View campus. The plan calls for a two-story, 76,000-square-foot facility on the northeast corner of Bon Secours Drive and Harbour Towne Parkway. Bon Secours executives say it’s an effort to better reach western Hampton Roads patients and establish a short-stay, surgically focused hospital. Within days of each other, Bon Secours and Sentara filed letters to state health officials seeking permission to add or move beds to their respective northern Suffolk campuses. Bon Secours filed its letter of intent first to apply for a “certificate of public need” to move hospital beds and a few surgery rooms from its Maryview Medical Center in downtown Portsmouth. Days later Sentara submitted a similar request for in-patient beds, operating rooms and a CT scanner at its Sentara Belleharbour campus on Route 17 Bridge Road. That plan would involve moving beds from Sentara Obici Hospital. Hospital executives have said the shift would meet patients closer to where they are: About 14 patients at Obici each day are coming from Belleharbour, said Dr. Steve Julian, president of Obici, in a June interview. In a statement issued through a spokesman, Julian said Sentara was disappointed with the review but would consider next steps in the state’s certificate of public need process. “We believe our application offered the most benefit for the least cost in a hospital-ready building already under construction,” Julian said in the statement. The competing mini medical center proposals demonstrate how hospital systems vie for turf – and how the state tries to weigh those requests in the balance of keeping health care costs reasonable for patients. The state health commissioner will render a final decision on the projects later this year. Two letters of opposition against the Sentara project appear to have factored into the staff’s preference for the Bon Secours plan. Dr. Joseph Verdirame, former president of the medical staff at Obici, wrote that, since acquiring Obici, Sentara has migrated many resources away from downtown Portsmouth and central Suffolk to Belleharbour and Sentara Norfolk General. He believes those shifts are detrimental to care in central Suffolk. In another letter, Virginia Slocum, strategic operations planning manager at Chesapeake Regional Healthcare, said Sentara doesn’t have enough competition and that allowing it to spend more on expansion could drive “increases in health care costs” for consumers. For the third year in a row, Alan Weil, Health Affairs Editor-in-Chief, shares his own “Top Ten” favorite articles for 2017. His list of articles, in alphabetical order by first author, covers a broad range of topics. Many of these articles analyze the effects of a specific policy; others raise the profile of issues that deserve more attention. Some articles had unexpected findings. Their shared attribute is that the authors chose to focus on interesting and important questions. To read more details about the findings, please visit Alan’s blog post. To integrate care, provide more services and stay competitive, hospitals are still building outpatient facilities. Site-neutral payments all but stopped hospitals from building outpatient facilities in 2016. Outpatient development effectively froze in 2016, down from $19.6 million in projects in 2015, to $16.4 million in 2016, according to Revista, a resource for healthcare property data. 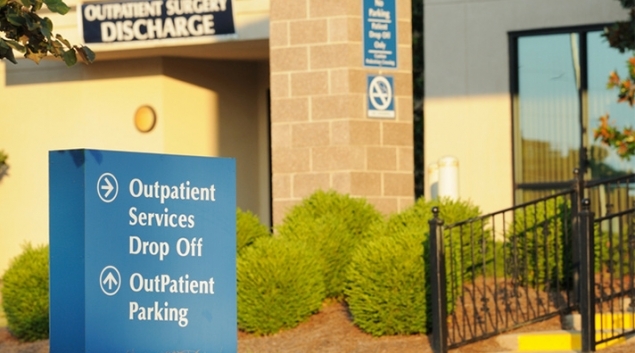 Historically, hospital-owned outpatient centers received significantly higher reimbursement than private physician offices or ambulatory surgical centers performing the same procedures. The Medicare Payment Advisory Commission recommended closing the gap between the rates. There was also concern that hospitals were buying up physician practices to take advantage of the higher reimbursement rate. Congress enacted the Bipartisan Budget Act of 2015, putting site-neutral payments into effect. New outpatient facilities that used to be paid on the outpatient prospective payment system are now reimbursed by Medicare on the physician fee schedule. The estimate on savings to Medicare runs into the billions. Those hospitals that had new off-campus departments and began billing before Nov. 2, 2015, were still reimbursed at the higher outpatient rate. Outpatient facilities built later than the cut-off date are now paid under the less lucrative physician fee schedule. The result of the legislation that went into effect on January 1, was to effectively freeze the geographic footprint of hospitals that rely heavily on Medicare reimbursement, according to Larry Vernaglia, an attorney and chairman of Foley & Lardner’s healthcare practice group in Boston. For some hospitals, Medicare represents half of their operating revenue. While some experts predicted a continued freeze in outpatient building, a surprising thing happened in 2017. The amount of outpatient projects soared to $22.9 million, the highest it has been in four years, according to Revista. However, that could be driven by the latest way skirt site-neutral rules. Martin said Revista is still analyzing the building boom, especially the new focus on micro-hospitals. There’s been a significant uptick in micro-hospital development, she said. At medical real estate conferences, micro-hospitals are the hot topic because they offer a way to circle around the change in reimbursement, Martin said. Also, the outpatient slowdown in 2016 may reflect in pause as providers submitted applications to the Centers for Medicare and Medicaid Services to show they were far enough along in planning to get an exemption and remain on the outpatient prospective payment system. The 21st Century Cures Act provided exemptions. Hospitals in the middle of building an off-site facility could submit an application under the mid-build requirement by Feb. 13. Many hospitals submitted mid-build applications before the deadline, including 40 in New York, seven in Massachusetts and five in Maine, Vernaglia said. Applications are still being reviewed, and CMS did not respond to a request for information on the total number of submitted requests, or the names of the applicants. “I’m familiar with at least 86 of them,” said Vernaglia, who also did not give specific information. Exemptions allow hospitals to build new outpatient settings on-campus and be reimbursed at the outpatient rate. “You’re going to see hub and spoke arrangements,” Vernaglia predicted of facility design. Hospitals can also can build an emergency facility and still receive the higher reimbursement. In a proposed 2017 payment rule, CMS originally required off-campus provider-based sites to offer the same services they did on Nov. 2, 2015, in order to be excluded from the site-neutral payment provisions, but opted not to include that requirement in the final rule. For 2017, CMS finalized a Medicare physician fee schedule policy to pay non-excepted, off-campus provider-based departments at 50 percent of the outpatient rate for most services. For 2018, CMS proposed to reduce those payments further, by 25 percent. Site neutrality creates hardships for hospitals trying to provide more services, integrate care and stay competitive in regions where patients have numerous choices for healthcare. Site neutrality also gave an advantage to hospitals that were early movers in getting their outpatient facilities built. The downside, said Vernaglia, is they’re stuck with what they’ve got. They can’t build another one or relocate. And if they don’t own the building, they can’t threaten to move if the landlord jacks up the rent. Developer Henry Johnson, chief strategy officer for Freese Johnson in Atlanta, Georgia, said hospitals are still building, because not to do so would mean the loss of a competitive edge. The ambulatory facilities may be less profitable now, but there’s the risk that the gap for off-site care will be filled by another facility, or physician practice. “There’s a greater impact not filling these gaps in the marketplace,” Johnson said. “Right now it’s a battle for marketshare, rather than site-neutral payments. Johnson has been in the business for over 20 years, working with healthcare systems and large physician practices. Value-based care has also given incentives to have patients visit outpatient clinics, rather than the more expensive emergency room. “They want to keep less expensive procedures in a less expensive environment,” Johnson said. Providers are being cost-conscious on square-foot costs as well, he said. These freestanding ER facilities are still reimbursed at outpatient rates. Patients would also rather go to a local, smaller facility, than drive to a hospital, try to find parking and walk the long hallways. “They’re not going to go places if it’s inconvenient,” Johnson said. Off-campus buildings, he said, invite people in.